All of us at VeloVoices like to cast our nets wide to bring you new names and faces. Sheree’s net often catches riders not generally found between the pages of the major English language magazines. 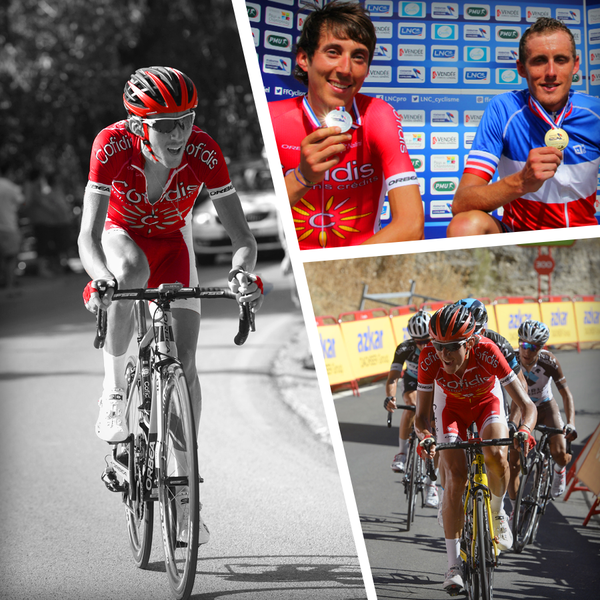 She recently caught up with 28-year-old French rider for Cofidis, Stéphane Rossetto. 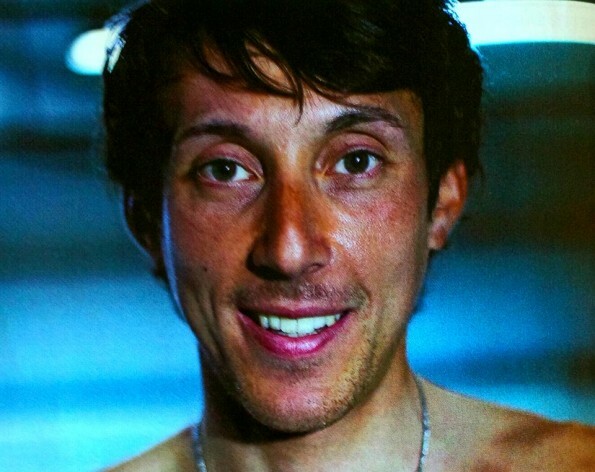 Sheree: Stéphane, you’ve had a more atypical trajectory than some in the professional peloton. 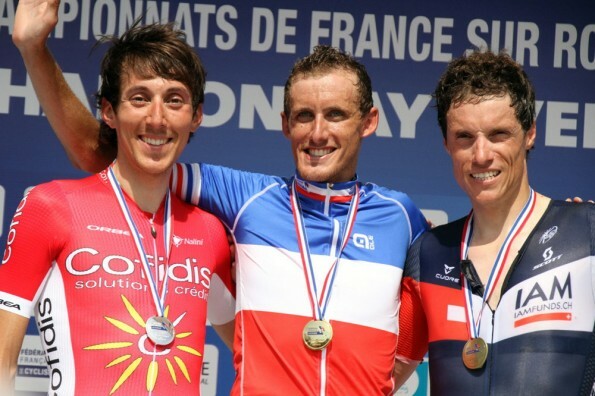 In 2010, you rode ProContinental with Vacansoleil and then dropped back to your previous French division one amateur club (CC Nogent-sur-Oise) before joining BigMat-Auber 93 (Continental) in 2013 and then Cofidis at the start of 2015. Stéphane: My journey has been a tale of motivation and morale. 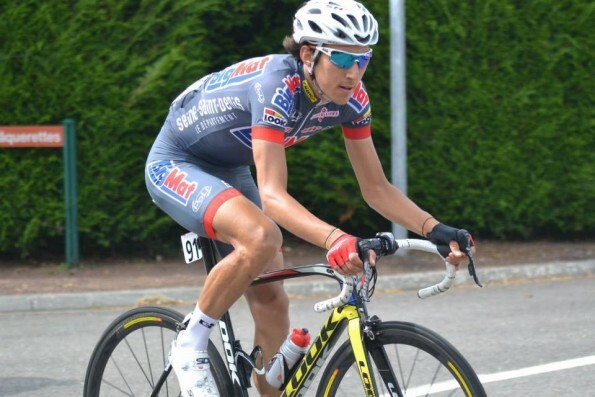 It often happens that if you turn in a few good results as a youngster, you’ll get a berth in a WorldTour or ProContinental squad but there’s a world of difference in terms of what’s expected of you. It’s true – I never had that big leap forward. I did it step by step or maybe one step forward and two steps back. It was only in the Continental team [BigMat] that I began to record good results, win more important [French Cup] races (Trio Normand, Tour de Seine-Maritime, Tour de Franche-Comté, Boucles de la Mayenne) and that opened the door for me at Cofidis. At the end of the day, it’s all about success. Everything I’ve achieved on the bike has been thanks to my results. Sheree: And you’ve continued to progress this year with plenty of good placings. Cofidis have renewed your contract for another two years? 12 places dans le Top 10 en 2015, Stéphane Rossetto a aussi été sacré vice-champion de France du contre-la-montre ! Stéphane: Yes, it’s my very first two-year contract. There are only annual contracts in Continental teams. This will allow me to consolidate my development. It means I can perform with a bit more serenity in the forthcoming season. Sheree: You were runner-up in this year’s French time-trial championships and it was a great shame you were injured in a fall in the Vuelta a Espana (stage 19), which prevented you from taking part in the World Championships in Richmond. 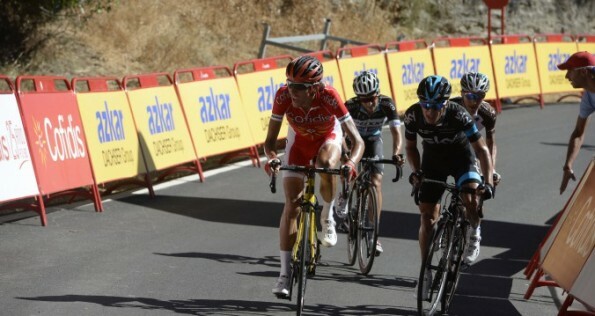 I believe you were in the top 20 on GC in the Vuelta when you fell? 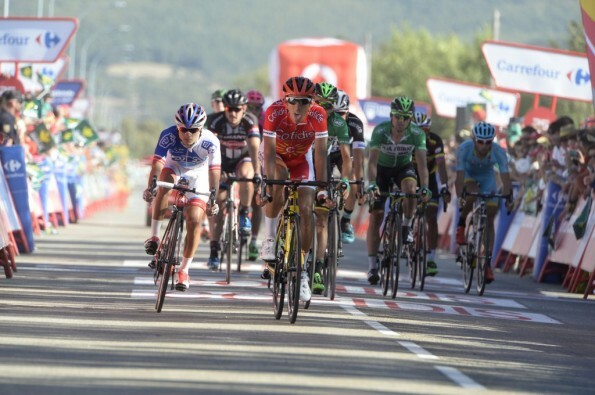 Stéphane: Yes, it was my first Vuelta and my maiden grand tour. At the start, it was something for me to discover and then, in the end, I really enjoyed it. It was the type of parcours I really like and that suits me as a rider. I proved to myself that I was capable of a good result, even if it was only 18th. Not too bad for my first attempt. 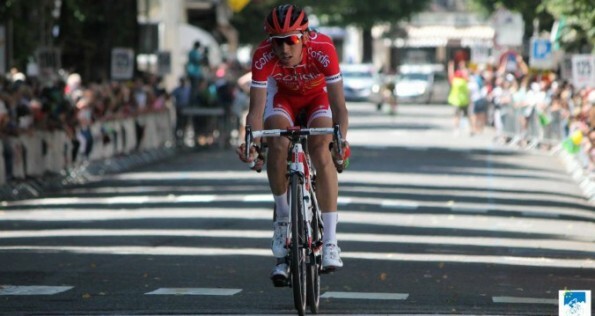 In future grand tours like the Tour de France, I’ll aim for better although it’s probably better to go for a stage win. If you’re well placed on GC, you’re not allowed to get into a break. It’s a difficult scenario to manage. Sheree: The grand tours are unique. There’s nothing else to compare with them. How did you cope? Stéphane: I felt tired after a week and a half but then I got my second wind and I finished feeling much stronger than when I started. Probably my age is a bit of an advantage as I’ve developed more endurance than when I was younger, and more experience to manage those efforts. I felt much better at the end, once the initial nervous energy at the start dissipated. Of course, concentrating from start to finish on every stage when you’re fighting for GC is mentally tiring, but physically I felt really good until my fall on the 19th stage. After this experience, I know I’ll be stronger next year. Sheree: What are your goals for 2016? Stéphane: The French Championships in both disciplines [nervous laugh]. Next year it’s a tough circuit that suits riders like me. It’s a harder route than it has been for a few years. I’d like to progress from second to first in the time-trial and then win the road race. That’s my big objective for next year. Obviously, I’d also like to win a race and be in contention for the Cofidis squad in a grand tour, just like this year, though hopefully in the Tour de France, where I can continue my progression. But if I had to choose just one, it would be in the French championships. The Dauphiné is another race I really like. June’s probably my favourite month of the year with the Route du Sud, the Dauphiné and the French national championships. It’s a time of year when I ride really well. Of course, next year there’s also the Olympics in Rio, though it’ll be very difficult to get onto the team. I’ll have to ride exceptionally well to be in contention for a place. First, I need to focus on the Ardennes Classics, and stage races such as Paris-Nice and Tour of the Basque Country. Sheree: Is it an advantage having such a big name rider like Nacer Bouhanni in the team? I assume you can stay under the radar as he tends to attract all the media pressure. Stéphane: Yes, that’s true and, if I’m at the Tour, I’ll play a supporting role for him since he’s our number one leader. It’s only to be expected. Sheree: And Nacer’s younger brother Rayane will also be on the team next year? Stéphane: He’s a classy rider and a totally different type of rider to his brother. They don’t even look like brothers and have totally different temperaments, although they’re very close. I’m sure the younger one will also be a good rider. Sheree: There’s a good group of riders at Cofidis. I know some of them, like Rudy Molard who lives nearby to me on the Cote d’Azur. Stéphane: He’s a great rider and he’s been very helpful to me. When we’ve ridden together I’ve taken note of his positioning [in the peloton] and tried to follow him. He’s younger than me but has more experience at the higher level. We often share a room at the races. He’s a really nice guy. Of course, he’s not the only one. There’s plenty of others in the team where we have a very convivial atmosphere. It’s important because we spend so much time with one another. We always have a great team spirit and we’re always happy when one or other of us does well. Sheree: What for you has been the biggest difference between riding for a Conti and a ProConti team? Stéphane: In short, it’s all down to money. Money makes everything easier with double the number of support staff and better logistics. Otherwise it’s pretty similar. Sheree: Do you have a few words of encouragement for those riders in Conti teams who have ambitions to progress further? Stéphane: You have to work hard, it’s the only way. Work hard throughout the season and get results. Never give up. There are no gifts at this level. Also, you need a helping hand from friends but it will only work out if you have the results. Sheree: Wise words! Thanks for your time, Stéphane, and good luck for the forthcoming season.